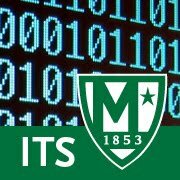 Manhattan College ITS Blog: Drive: Accessing your Google Drive via "drive.manhattan.edu"
Drive: Accessing your Google Drive via "drive.manhattan.edu"
If you're already logged into a different JasperNet service, you will be brought directly to your Drive. If you have not authenticated yet, you will be brought to the expected JasperNet login page. Give it a shot! Open a new tab in your browser, type in "drive.manhattan.edu", and then press enter.